I got it via eBay. It works very well, but it did require a bit of tinkering to get it that way, like the rest of my typewiters. 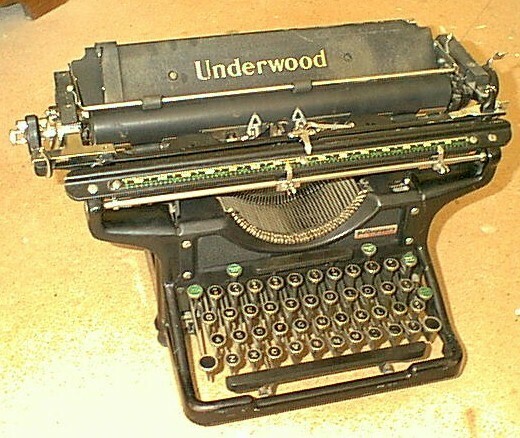 I have used it for some correspondence, because it is so easy and fun to type with! This one came from the swap meet. It seems to have been partly repaired, then abandoned. I have it working pretty well now. It is not as easy to type on as the No. 5, unfortunately. It also features 12 pitch elite type, while the other old ones on this page have 10 pitch pica type. The little sticker on the front is from Jack Davenport's Typewriters, in Bakersfield. This one came from the thrift store. 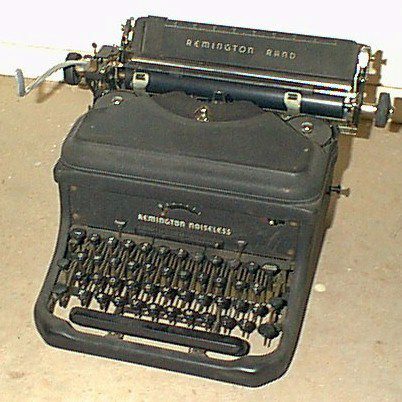 It is hard to type on, the noiseless mechanism adds effort, but it is quiet (for an old manual typewriter!). 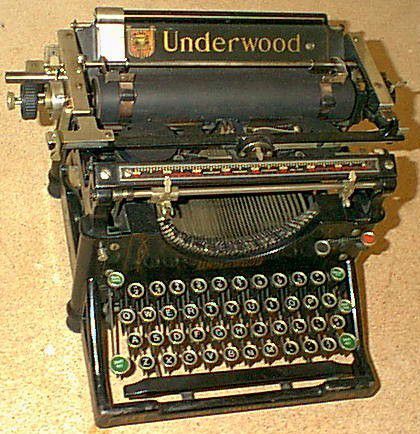 This one, like my Underwoods and most prewar typewriters, has a neat little crank on the right side for winding the ribbon.